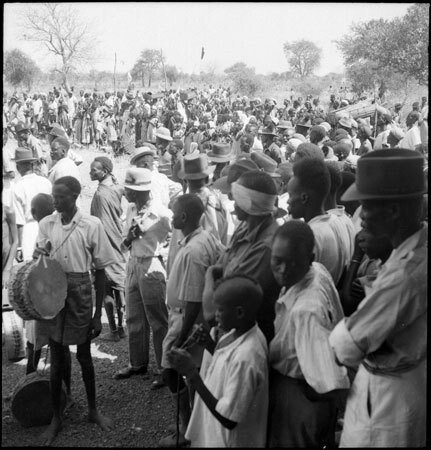 Looking across a crowd of Dinka people watching a parade of children (out of frame, seen in related images), with a drummer in the foreground. Morton, Chris. "Dinka crowd watching parade" Southern Sudan Project (in development). 03 Jan. 2006. Pitt Rivers Museum. <http://southernsudan.prm.ox.ac.uk/details/2005.51.95/>.